Deer Flat supports a number of missions effort locally and globally. We desire to come along side organizations, missionaries and individuals who are committed to helping others around the world. Se provide financial support, volunteer support and/or other resources. Although our missions budget is part of our operating budget, you always have the option give directly to missions at any time by selecting “Give” and choosing “Missions” in the drop down. Please be praying for our youth and workers who are preparing to embark on a mission to Belize in July 2019! More details and donation opportunities to come! Hope House exists to provide a home for children between the ages of six (6) and eighteen (18) (and then those youth who turn eighteen prior to or during their senior year in High School) who are emotionally impaired, developmentally disabled, and/or come from disrupted adoptions or dysfunctional families. Hope House serves children from all areas of the United States, although the vast majority, come from the western United States. Children from other countries may be considered on a case-by-case basis. Hope House provides a home for those young people who may have “fallen through the cracks” of other governmental and/or private agencies. Our mission at Hope House is to provide a home-like, family atmosphere where, through love, structured activities, appropriate discipline, educational and vocational opportunities, and people who will listen, young people can reach their fullest potential. We have a desire to reach the latino population of our community and invite them into the family. If you are interested in participating in our efforts to minister alongside the Latinos in our community please contact Erica Huerta. Tenemos un deseo para alcanzar la población de nuestra comunidad Latina e invitarlos a la familia. Si usted está interesado en participar en nuestros esfuerzos para Ministrar junto a los Latinos en nuestra comunidad, por favor póngase en contacto con Erica Huerta. If you are a new Believer or a new disciple and want to learn more of the Bible we have some courses in Spanish and English. Romans 1:16, " I am not ashamed of the Gospel, because it is the power of God for the salvation of everyone who believes;" " first for the Jew, then to the gentile". Si usted es un recien convertido o nuevo discipulo y quere aprender mas de la Biblia tenemos unos cursos en espanol y ingles. Para recibir mas informacion, por favor pongase en contacto con el Erica Huerta. Romanos 1: 16, "A la verdad no me averguenzo del evangelio, pues es poder de Dios para la salvacion de todos los que creen; de los judios primeramente, pero tambien de los gentiles". Boise Rescue Mission Ministries reaches out to the community by teaching the Word of God and providing food, shelter, clothing and opportunities to recover from homelessness for men, women, and children in need. Boise Rescue Mission is the primary provider of homeless services in the state of Idaho with five facilities in Ada and Canyon counties. In addition to providing overnight shelter, meals and clothing, they offer a variety of programs to address homelessness in its entirety. Deer Flat works directly with the Lighthouse Men's Shelter and Valley Women and Children's Shelter and provides ongoing financial support, supplies and people who love to serve. Love INC of Treasure Valley is all about people helping people in the name of Christ. We invite you to find out more about how they partner with local Christian churches to bring about transformation in the lives of the broken and hurting in our community. Deer Flat provides ongoing financial support, supplies and people who love to serve. Lifeline Pregnancy Center is a Christian, life-affirming ministry that provides practical, spiritual and emotional help to women and those who influence their lives, who are dealing with the effects of an unplanned pregnancy, adoption or abortion. We do not discriminate in providing services because of race, creed, color, national origin, age or marital status. Our patient advocates do not judge any person or situation. We care. We listen to your questions and concerns. You have options and we can help empower you with resources and information. Deer Flat provides ongoing financial support and promotion. Hands of Hope NorthWest is a nonprofit humanitarian aid organization that is operated by volunteers, 4 part-time staff, and 1 full-time staff person. Our mission is to provide medical supplies and equipment to the under-served and assist the ministry of others. We collect medical equipment and supplies that hospitals and individuals no longer need and make them available to developing countries, other helping entities, and individuals right here in our area. International Childcare Ministries advocates for the spiritual, educational, physical and social development of children by partnering with the global Free Methodist Church through sponsorships, scholarships and creative initiatives. We assist by providing materials and communicating this opportunity. Deer Flat provides promotion and loving families who sponsor children. The Voice of the Martyrs is a non-profit, inter-denominational Christian organization dedicated to assisting the persecuted church worldwide. VOM was founded in 1967 by Pastor Richard Wurmbrand, who was imprisoned 14 years in Communist Romania for his faith in Christ. His wife, Sabina, was imprisoned for three years. In the 1960s, Richard, Sabina, and their son, Mihai, were ransomed out of Romania and came to the United States. Through their travels, the Wurmbrands spread the message of the atrocities that Christians face in restricted nations, while establishing a network of offices dedicated to assisting the persecuted church. Deer Flat provides ongoing support through opportunities to share, materials, promotion etc. We have an ongoing desire to serve in Haiti in a variety of ways. We provide financial support for Dan and Dee Ann Snyder. Dan, a physician, coordinates medical work at Dessalines Hospital, and Dee Ann works in support staff areas. We provide financial assistance to a variety of needs through the Free Methodist "Country Share" program. We have sent and/or supported a number of teams through the years including building, well drilling, dental and medical efforts. We look forward to sending out more teams in the years to come. 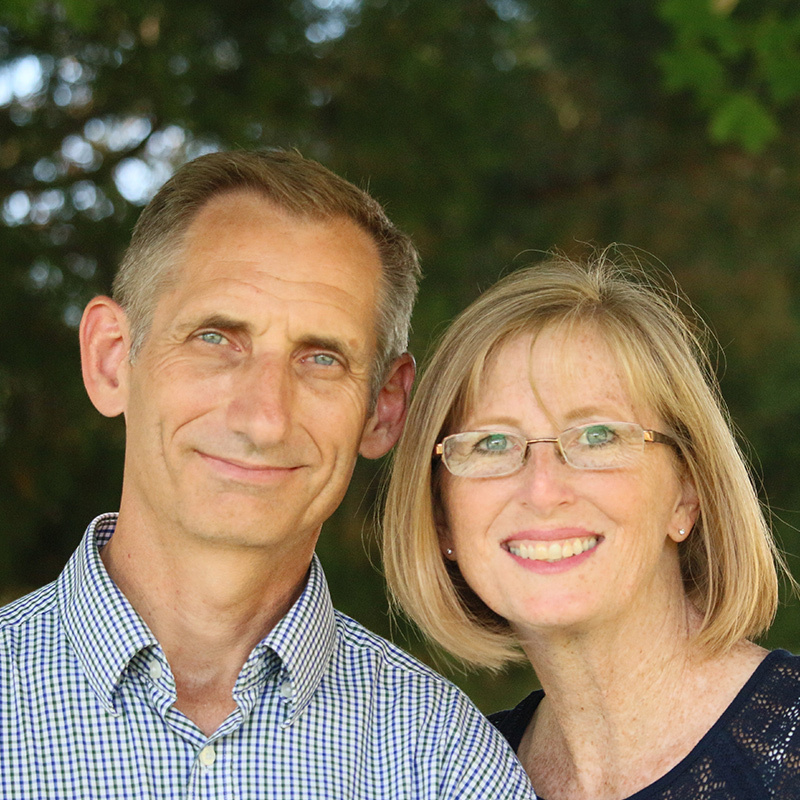 Darin and Jill Land have been appointed as career missionaries to Asia. Darin will serve as Asia Regional Assistant with a focus on leadership development. Darin is also a Theology Professor at the Seminary in Manila. Deer Flat supports there ministry monthly through our Missions budget. Gene and Minori are newly appointed Visa Voyagers who will locate in Japan. They are currently doing partnership building in the U.S. with plans to be on the field in August 2019. With Evangelicals making up only 0.58 percent of the population, there is an urgent need for the gospel in Japan. Gene will serve in leadership development in Japan and Southeast Asia. He desires to help pastors obtain the tools to serve well and to develop faithful leaders who will develop other faithful leaders. Newly appointed Program Manager (Country Director) for MAF-International’s program in Papua New Guinea, Todd and his wife Connie are excited about this new challenge and a return to the world of aviation. Missions has been their passion and the focus of their hearts since their childhood in Oregon. Life-long friends, they married in 1988, at Medford First Church of the Nazarene, and in 1989 they had the opportunity to participate in a Work and Witness short-term mission trip to Dwarsloop, South Africa, where their call to missions was solidified.